A study shows that parents who cannot put their phones down tend to raise children who cannot behave. The study by researchers at the University of Michigan and Illinois State University, published in Nature, followed 183 sets of parents. Of the participants, 40 percent of mothers and 32 percent of the fathers said they were too wrapped up in their devices. Parents who frequently check messages, send texts, scan social media—basically, people who cannot look away from their phones—don’t pay enough attention to their children, the study revealed. The children are not ignored—in fact, in terms of time of interaction, it would seem the parents are very involved in their children’s lives. What the study found was that these parents spend short amounts of time, and small amounts of attention. They alternate back and forth between websites, texts, emails, phone calls, and children, giving a shallow survey to each. In some cases, the parents pop in the ear buds and wait for visual cues to pay attention to their children. In other cases, parents simply add the children into the rotation—Facebook, Instagram, children, text, phone call, children—with no one source getting more than cursory care. 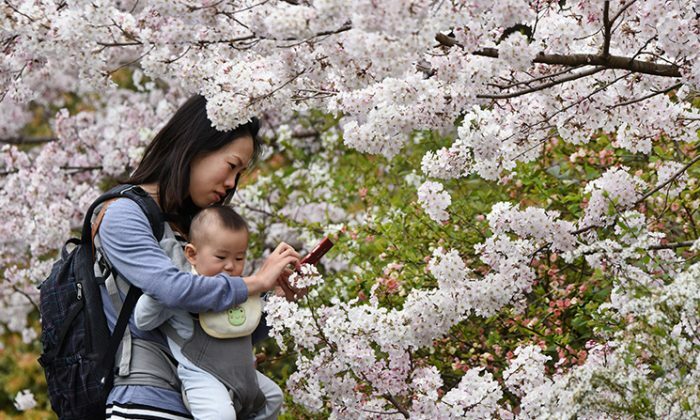 The six-month study found that mothers using devices had more impact on their children’s behavior than the fathers, the Telegraph reported, most likely because mothers played a greater role in child-rearing, particularly when the children were young. This situation was dubbed “technoference,” where an electronic device interrupted or modulated interaction between parents and children. The outcome was that the children would be more prone to sulking, whining, throwing tantrums, hyperactivity, or getting frustrated easily. The children either felt a need to act out more to get more attention, turned inward to find what they could not get from their parents, or felt that they had no constraints and acted willfully. The study also found that the behavior of both parents and children formed a feedback loop. As the parents paid less attention to the children, the children would act out more. In response, the parents sometimes turned more readily to the safe haven of their electronic devices, according to the article in Nature. Michigan University’s Dr. Jenny Radesky conducted a study in May 2017, of how families interacted during mealtime. Videos of 225 sets of parents eating with their children showed a shar drop in effective parenting when the mother had her phone out. Verbal interactions dropped by a fifth, the Telegraph reported, while nonverbal communication fell almost twice as much. The frequency with which mothers offered verbal encouragement to their children dropped 28 percent. Health officials said that speech and language development might be adversely affected by parents spending too much time communicating or reading online instead of with their children. “If you are walking down a street and listening to music, you can’t really pay attention to what your child is doing. Unless the child says something very loudly or pulls on the adult, there’s no chance to communicate,” she continued. “The attempt to communicate goes unrewarded and the child could, in time, learn that there’s no point in talking. For little children, it is these multiple interactions with an adult through which it learns language and how to speak,” she said.